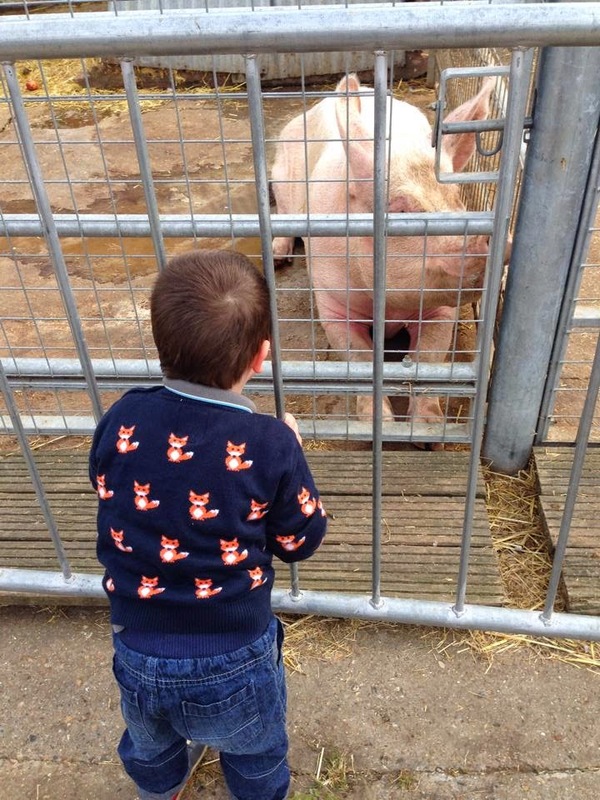 Mum of Five Staying Sane: Our day on board the Huggies Pull Ups bus at Surrey Docks Farm. A gorgeous place to visit in the city and a fab day with the Huggies team. 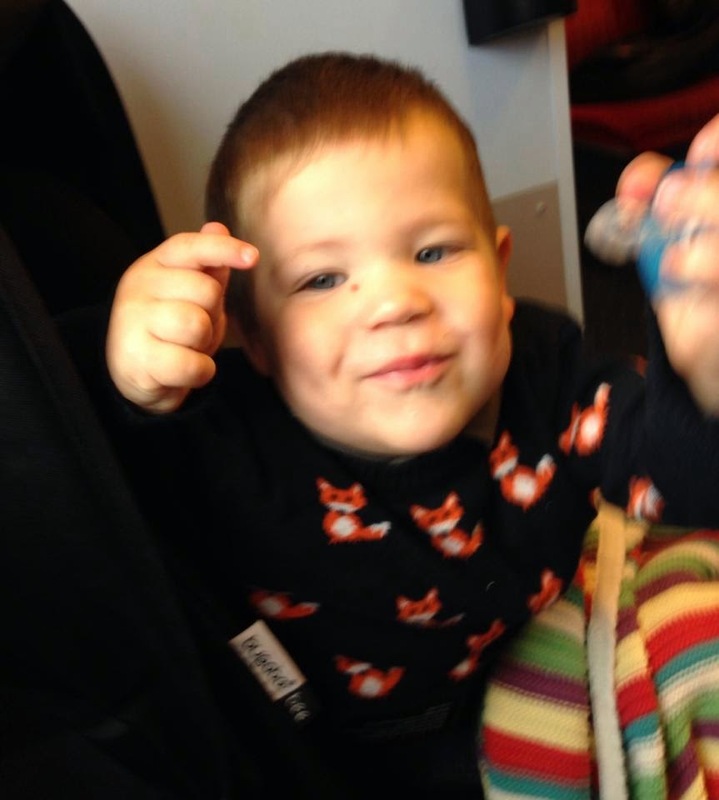 Our day on board the Huggies Pull Ups bus at Surrey Docks Farm. A gorgeous place to visit in the city and a fab day with the Huggies team. 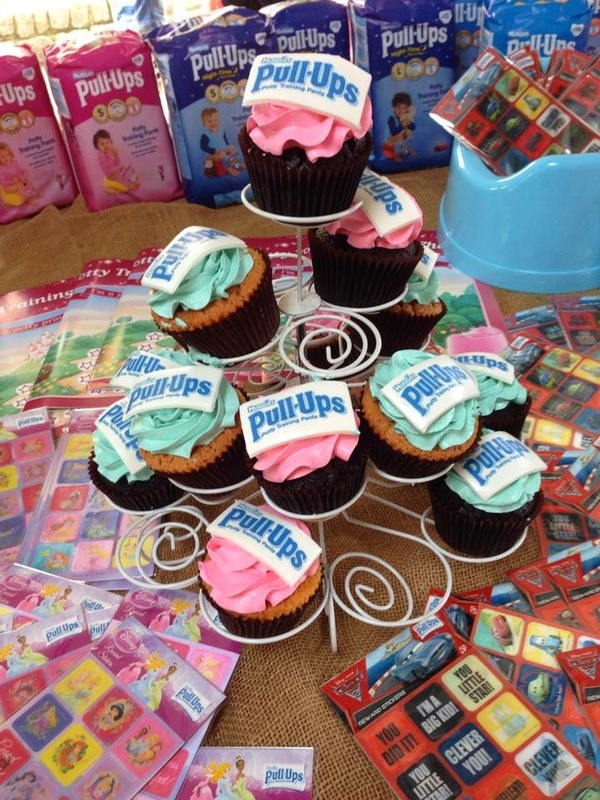 Last week we were invited to join the Huggies team at Surrey Docks Farm as part of the Pull Up Bus tour. 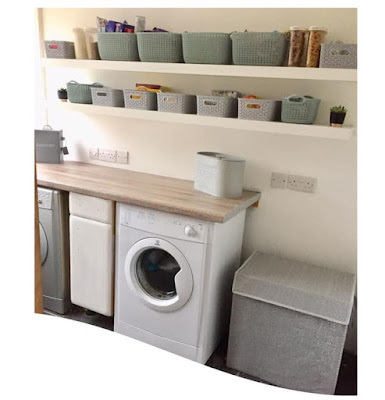 It was ideal for us as Thing 5 has just turned 2 and soon we will be starting our potty training journey. 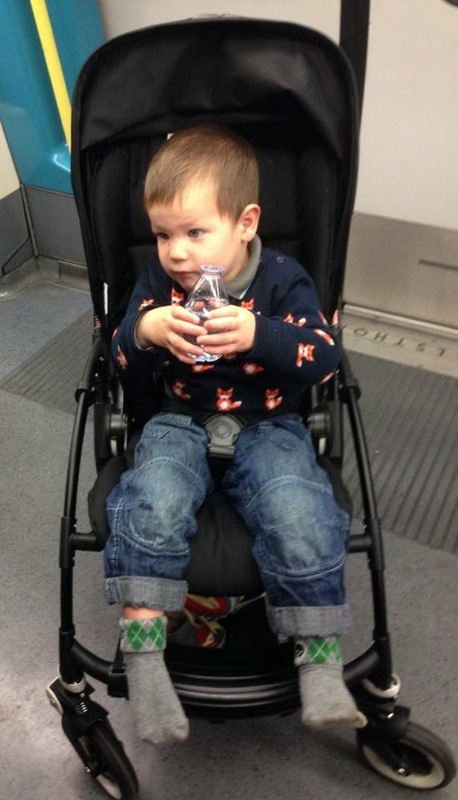 Thing 5 on our journey and enjoying his free Evian on the Underground! Our journey to the farm went well and quicker than expected as it included train, underground and a bus journey we were thinking it might have been longer. When we arrived we were surprised to see the farm nestled in between houses and blocks of flats and set right on the River Thames. It was gorgeous, a little oasis and I will be honest when I say I had never heard of it before. 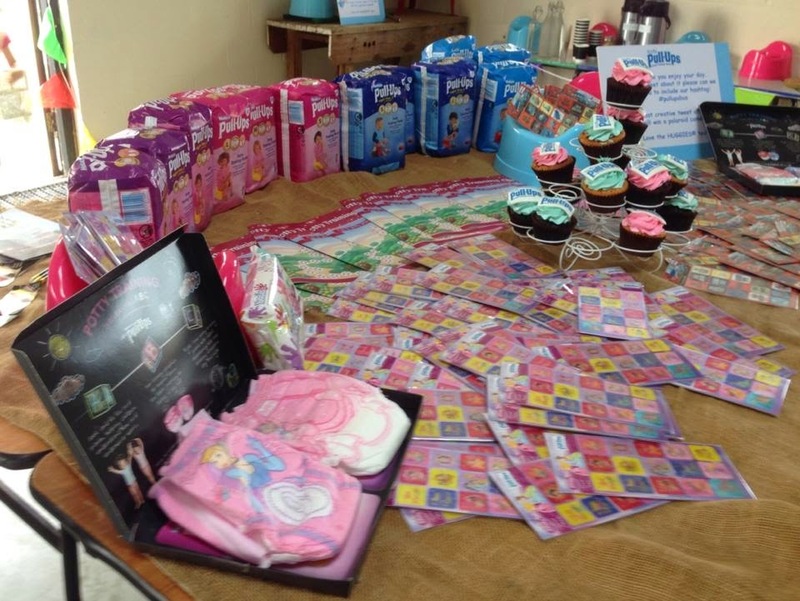 Huggies table display and scrummy cupcakes! When we arrived we went into the farm and met the Huggies team and soon we were all taken down to board the Huggies Pull Ups bus. It was great fun. 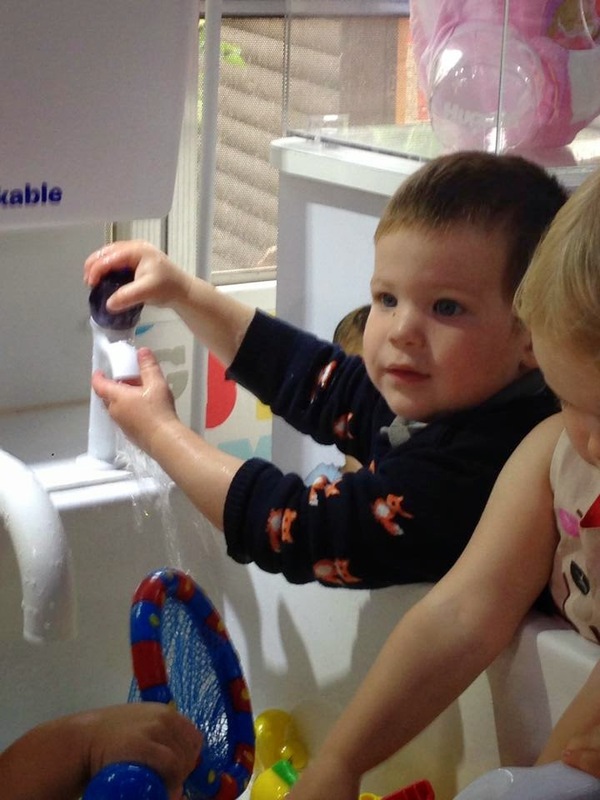 Thing 5 enjoyed playing in the water in the pretend play toilet area. 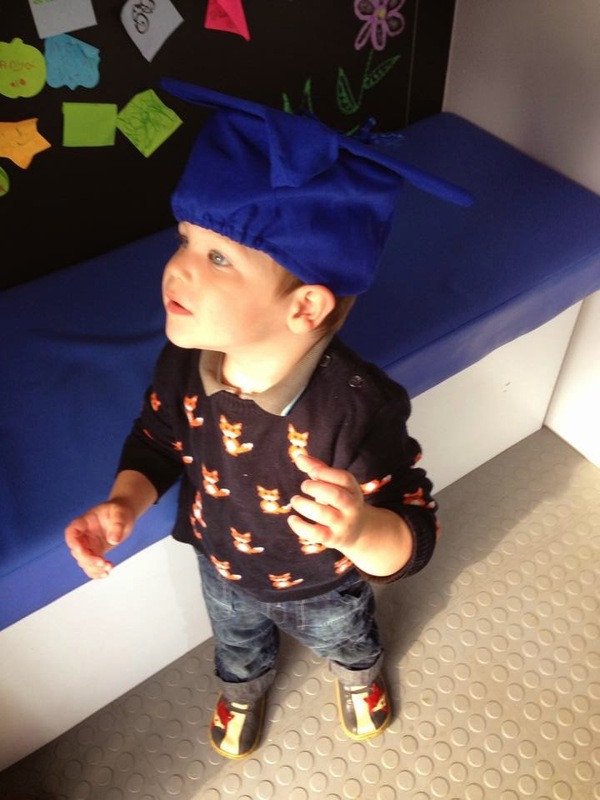 There was also a bed area with TV and books and a small seated area at the back with graduation hats, for when you have been successful with potty training! On board the Huggies Pull Ups bus. 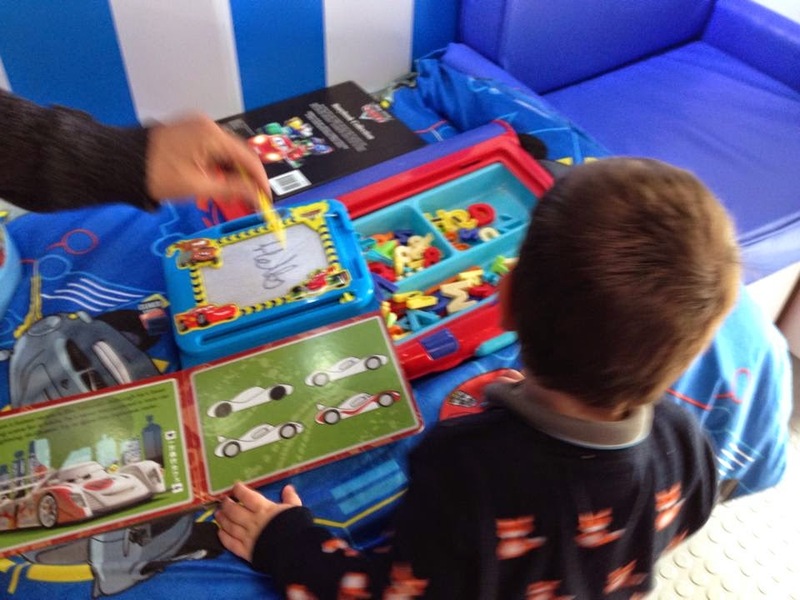 Water play, book reading and more. 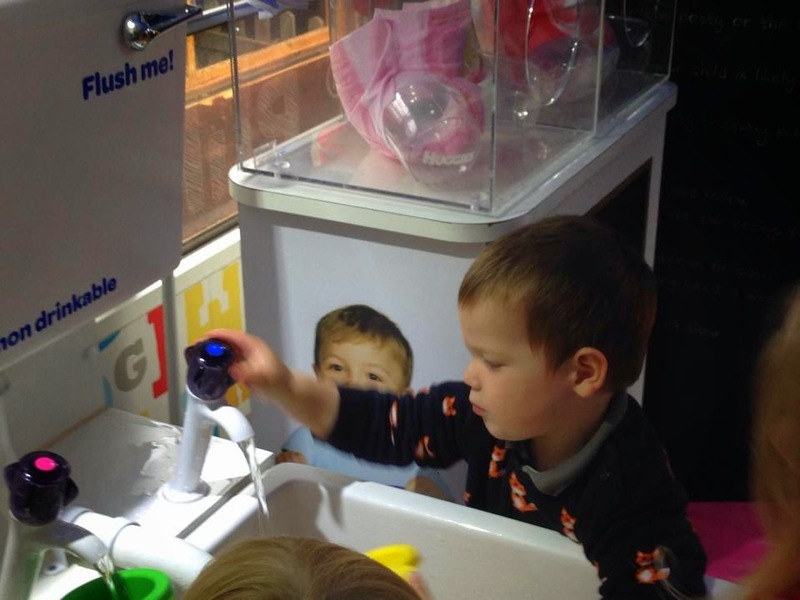 We had great fun playing with the water and exploring the bus. We had a good talk about Pull Ups and how they work. With their wetness indicator on the outside, easy open sides, leak guards and easy up and down they ideal for the potty training stage. Pulling up and down like cotton pants and with colourful Disney characters on and the wetness indicator that fades when they are wet. Not as absorbant as a nappy so the child can feel that they are wet. There are also Pull Ups Night-Time available for extra absorbancy in the night but with the same features as the normal Pull Ups too. Pull Ups are available in sizes Small 8-15kg (20-33 lbs) , Medium 11-18 kg (32-40 lbs) and Large 16-23 kgs (38 lbs+). The Disney characters featured are Cars, Minnie Mouse and Disney Princesses on both the Day and Night time Pull Ups. 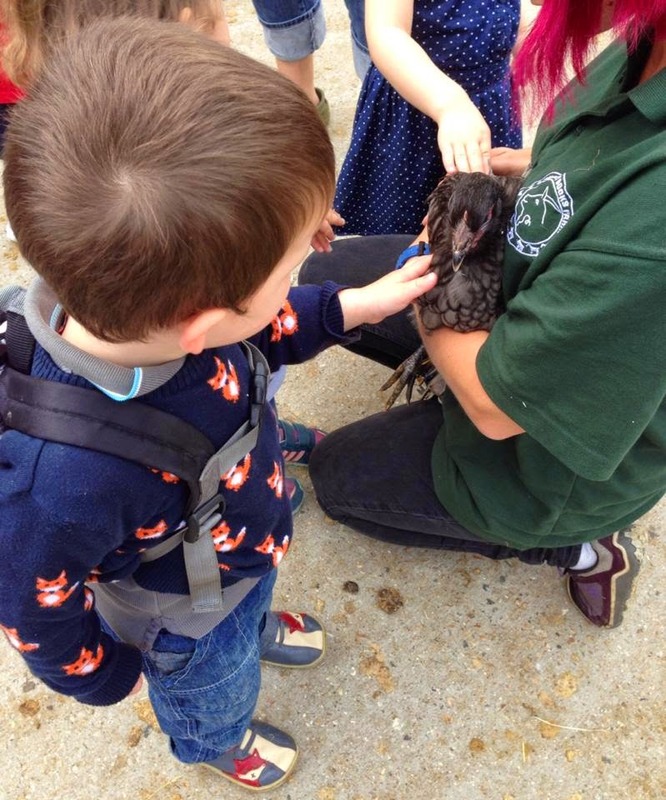 If you have time to also check out Surrey Docks Farm then I would highly recommend it. 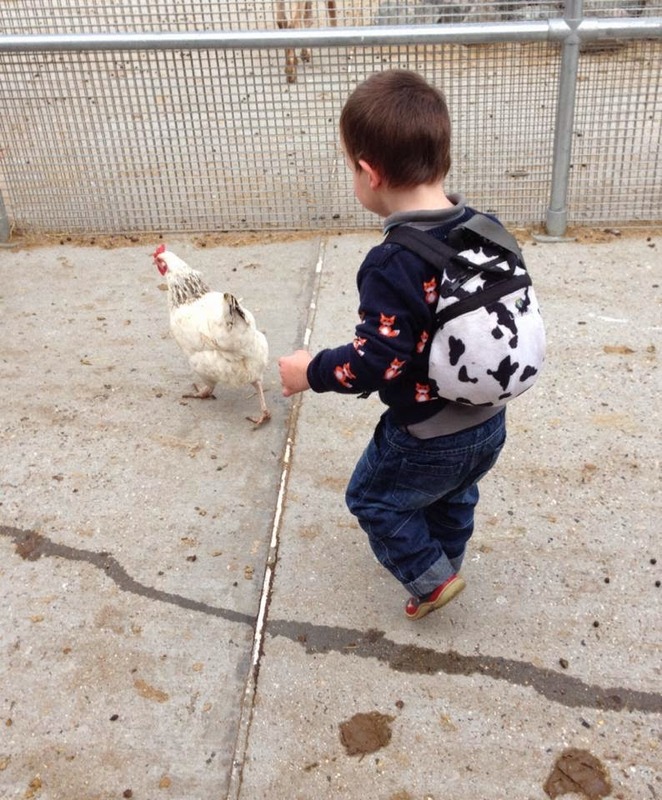 On the day Huggies had arranged for one of the farm employees to take us around and meet all the animals, it was fab. 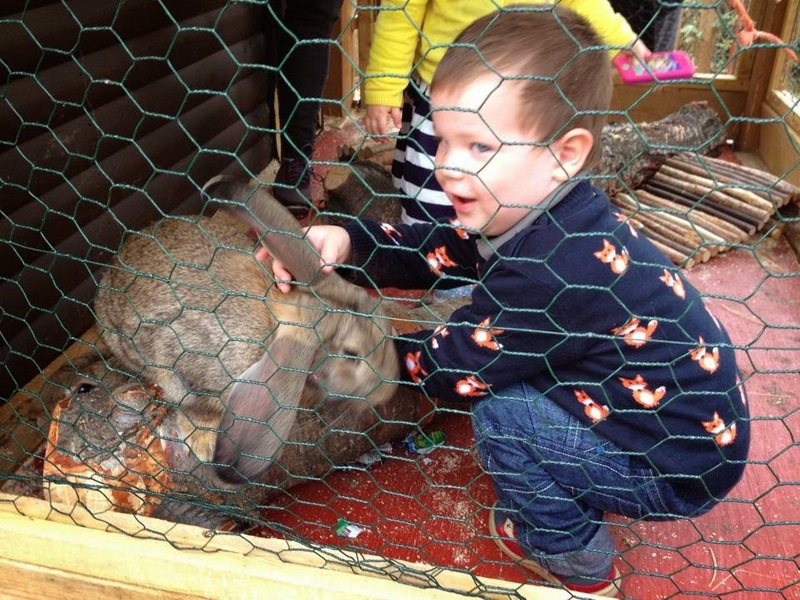 Thing 5 really got stuck in and enjoyed stroking the animals and feeding them too. 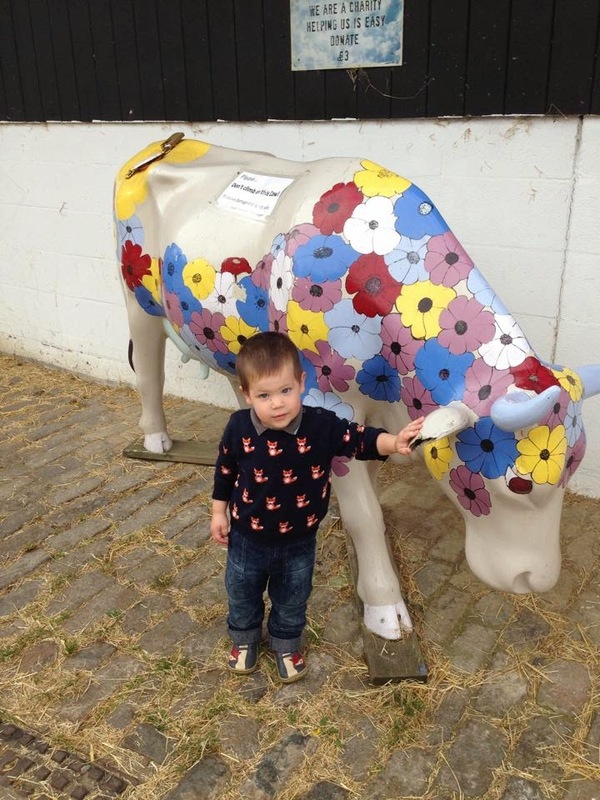 There are lots of farm animals to see and there is also a cafe there too. We had lunch and the food and drink was excellent. There is a donation asked of £3 (or more if you prefer) and it is well worth it for this little oasis that is nearer than we thought. Fun at the Farm meeting the animals. Thank you to Lucy and Stavros from the Huggies team who were very helpful and informative on the day, and great company too.